While the U.S. government begins the process of pulling itself out of another shutdown, another tidbit about the racist nature of our president has surfaced as he remained quite distant from the result of an disagreement of DACA and immigration reform that he started last year. 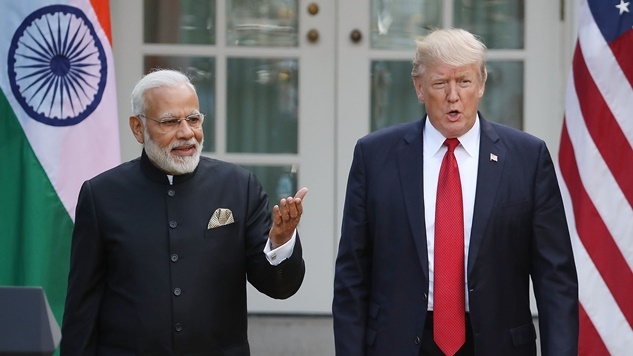 According to The Washington Post, a number of senior administration officials confirmed that the president is known to imitate Indian Prime Minister Narendra Modi, employing a stereotypical Indian accent which was first employed publicly during a Trump campaign rally in spring of 2016. During that rally, Trump utilized the racist accent to mock a call center employee while criticizing the outsourcing of labor to countries like India. It’s not the first time the president has employed such mouth talents in a politcal setting. Who can forget his spot-on Spanish pronunciation of “Puerto Rico” during a D.C. press conference as everyone on the island suffered without clean water and electricity? The guy has talent. The reveal came alongside news that potentially 1000 additional troops could be heading to Afghanistan this spring. Last year, Modi told Trump, “Never has a country given so much away for so little in return” during an Oval Office meeting. To Trump, the comment validated his opinion that the U.S. was duped and taken advantage of in Afghanistan. No Indian officials or officials within the White House responded when asked for comment.